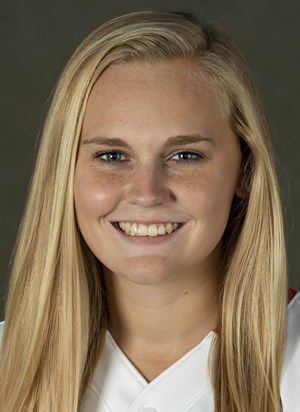 Sophomore second baseman Lauren Foster homered in the second inning to break a tie game and send the University of Wisconsin softball on the way to a 4-2 victory over Iowa on Sunday at Goodman Diamond. The Badgers (30-5, 7-2 Big Ten Conference) added the game’s final run against the Hawkeyes (15-18, 1-8) when Kayla Konwent came home on a double-steal. Two runs came across in the first inning on Stephanie Lombardo’s sacrifice fly. Haley Hestekin threw three innings to get the win, allowing two runs on five hits with four strikeouts. Kaitlyn Menz picked up the save, allowing three hits in four innings. Senior Sara Costellano, sophomore Anna Makarova and sophomore MaryAnn Rompf provided singles victories as UW (14-3, 6-1 Big Ten) scored a 4-2 win over host Penn State (11-7, 3-4) at State College. Doubles victories came from the teams of Castellano-Christina Zordani and Melissa Pick-Ava Markham. Singles victories from freshmen Jared Pratt and Lenard Soha and sophomore Robert Krill led UW (8-9, 2-5 Big Ten) to a 4-3 win over Purdue (7-11, 1-6) at Nielsen Tennis Stadium. The teams of Pratt-O’Hoisin and Krill-Colton triumphed in doubles. The Badgers were tied for 11th place, 13 strokes back of leader San Jose State, after the first day of the three-day, 18-team Silverado Showdown in Napa, California. Tess Hackworthy shot the team’s low round with a 1-over-par 73, leaving her tied for 15th place. Nat Zeng (74) is tied for 24th place. After narrowly missing out on qualifying for the top final race in the UC San Diego Health Cup, the varsity eight finished with a strong showing in the second final, taking first place by a 5-second margin over UC San Diego. The freshmen eight finished sixth in the Novice Laurel Korholz Perpetual Final. Two-thirds of the way through the regular season, Konwent, a junior first baseman, is second in NCAA softball with a .505 batting average.